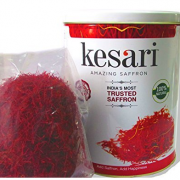 ISO 3632 (The International Organization for Standardization)Grade-1Certification gives consumers the assurance and confidence that the saffron they purchase is Authentic and Safe to consume..ISO 3632 classifies saffron into grade 1, 2 and 3 based on, 1. Moisture level (dried) 2. 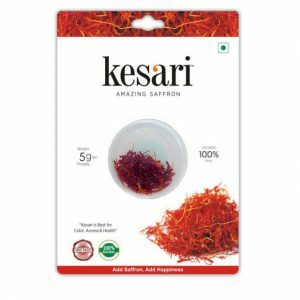 Crocin (color) 3. picrocrocin (bitterness) 4. safranal (aroma). 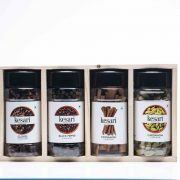 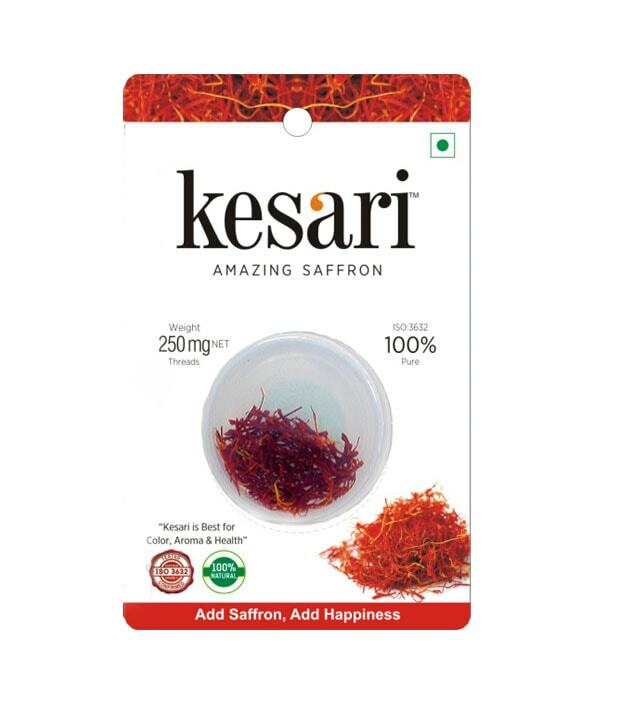 Kesari is the first brand in India to supply ISO 3632 Grade 1 saffron to consumers. 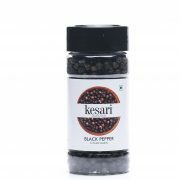 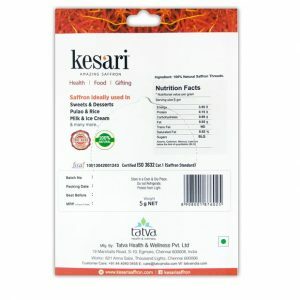 It is a brand owned by Tatva, a sister concern of Scope Ingredients which is a 55-year-old company. 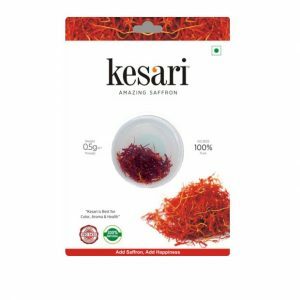 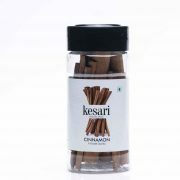 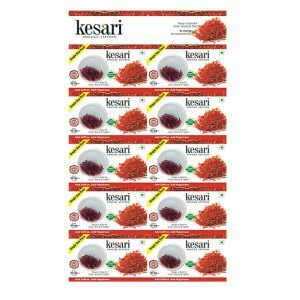 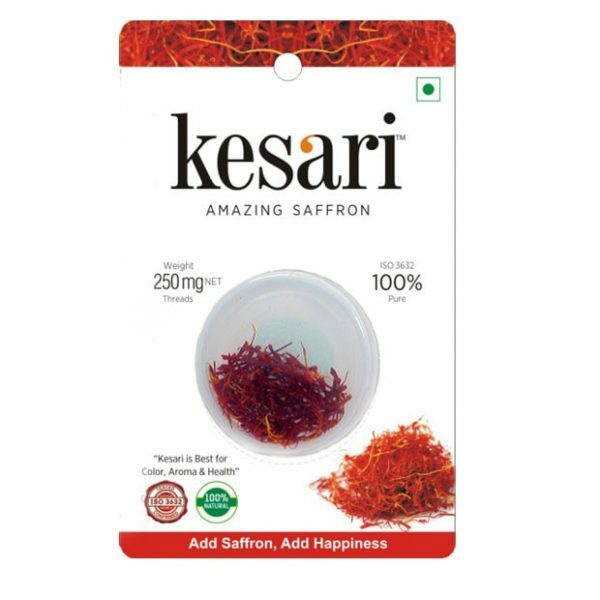 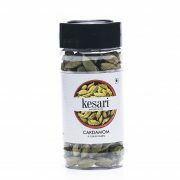 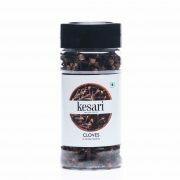 Kesari Saffron(Kesar) 250 MG (Pack of 2) threads.